The U.S.S. Maddox is attacked by North Vietnamese PT boats. The Maddox had been sailing in the Gulf of Tonkin since July 28, 1964, to support covert South Vietnamese forces operating against North Vietnamese shore installations. The American ship fights off the PT boats, which launch three torpedoes, none of which strike the Maddox. On August 3, the Maddox is joined by the USS Turner Joy in the Gulf. That night, it is reported that the Turner Joy was attacked. It is later discovered that the attack never happened. The US began a program to try to map the North Vietnamese radar and defensive positions along the coasts, the operation was called the DeSoto program. 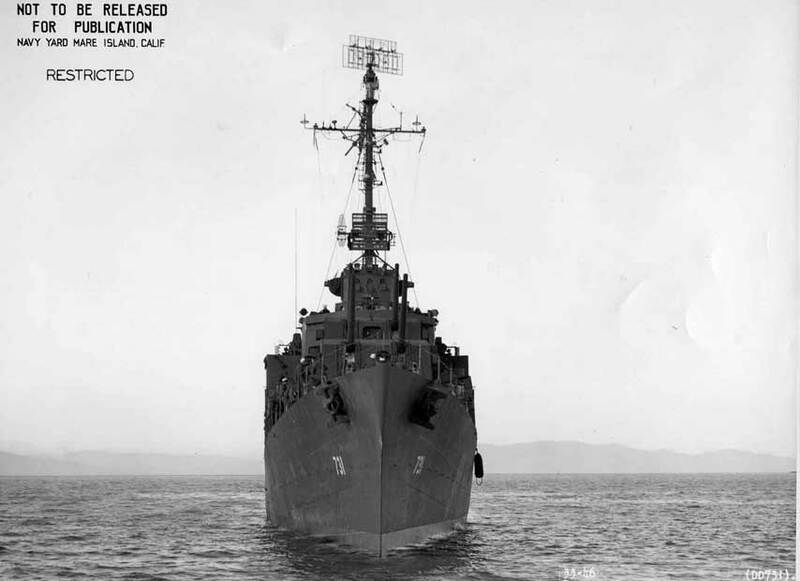 The USS Maddox was tasked with patrolling off the North Vietnamese coast in what was considered international waters. The French had claimed 3 miles and the working assumption was that 3 miles was still valid. On August 1, 1964 the Maddox began steaming in the Gulf of Tonkin seven to nine miles from the coast and four to six miles from islands in the gulf. On August 2, 1964 as the Maddox was at the northernmost part of its patrol three North Vietnamese patrol boats sped towards the Maddox. The Maddox headed to sea with the patrol boats following. The Maddox called for air support from the USS Ticonderoga which sent Crusaders to attack the North Vietnamese boats. The three boats launched torpedoes which failed to hit the Maddox. The Maddox hit one of the boats with its guns and the other two were hit by the jets from the Ticonderoga. In response to the attack the Maddox together with the Turner Joy returned to the Gulf to assert American freedom of the sea. On the night of August 3rd while patrolling the ships believed they were under attack and asked for air support. The night was stormy and to this day its not clear if the ships were ever under attack. The prevailing view is they were not. Despite the uncertainty the news of the attacks was transmitted to Washington, and the policymakers in Washington responded as if it had happened.